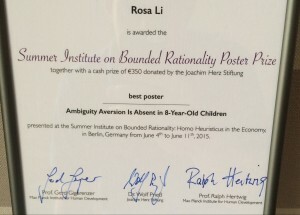 Congratulations to Rosa for winning the best poster award at the Summer Institute on Bounded Rationality in Berlin! 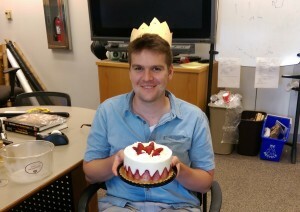 Congratulations to Jonathan Winkle for successfully defending his MAP! Winkle just happened to defend his MAP the same week we were hosting social hour. Since this was also the week of Cinco de Mayo, we figured we’d just combine everything and create a Winkle de Mayo.